Introducing Dell's new wireless docking solution for laptops, ultrabooks™ and 2–in–1's with 5th gene.. Expand what you can do with your HP EliteBook Folio 1040 G1 and G2 by using its side dock connector ..
Quickly and easily expand your display, network, and device connectivity to customize an always-read..
Everything you need, nothing you don’t. Completely re-designed for a new generation of ThinkPads, sn.. The ThinkPad Thunderbolt 3 Dock is an unmatched docking solution powered by Intel Thunderbolt 3 tech.. 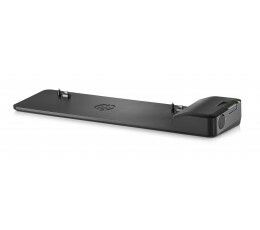 The ThinkPad USB 3.0 Pro Dock delivers a professional universal USB docking solution with fast USB 3.. The ThinkPad USB 3.0 Ultra Dock is an universal USB docking solution that not only delivers a premiu.. The completely re-designed and supercharged ThinkPad Workstation Dock with included ThinkPad 230W AC..
Boost the performance and capabilities of your server or desktop computer by adding a Gigabit Ethern.. 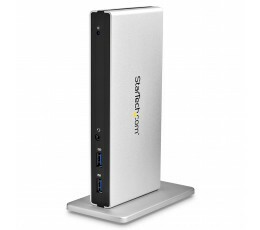 Laptop Docking Station | Mac & Windows | DVI to VGA Adapter | VerticalThis USB 3.0 dock combines a 6.. 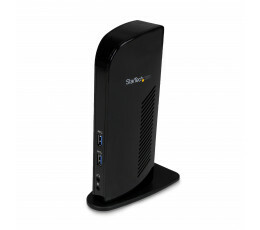 Laptop Docking Station | Mac & Windows | DVI to VGA & HDMI Adapters | 2x Charge PortsThis dual-monit.. This cost-effective Thunderbolt™ 3 dock (without Power Delivery) supports your Thunderbolt 3 port eq..